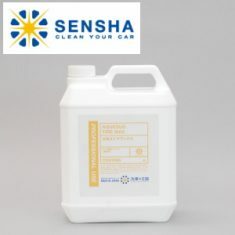 AQUEOUS TIRE WAX - SENSHA CO., LTD.
Aqueous Tire Wax is a professional use tire wax used by professional tire shops and dealers. 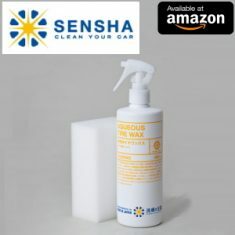 Depending on purposes or preferences, We have available three types of tire wax to select. This one provide a nice natural touch of the tire covers the faded appearance of old and browning tires, so they always look their best. 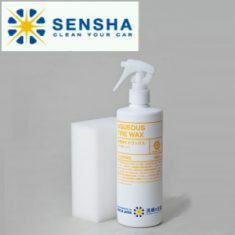 Aqueous Tire Wax is a water based tire wax so that it is not cause damage to tires. 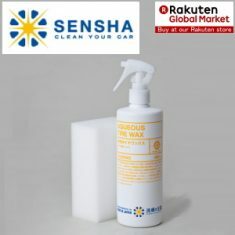 Super easy to use just spray and rub all around the visible sight area to give soft touch of the natural black of the tire.Non sticky and easy coating. It brings tires' natural shine. 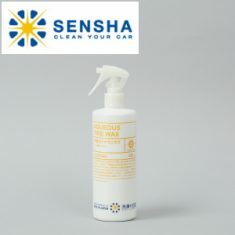 This product is recommend if you do not want to have too much luster on tires. 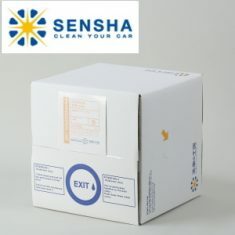 Economic and friendly use Ecological friendly as well.